Isao Takahata’s The Tale of the Princess Kaguya is now screening at the IFI and to celebrate, we have a fantastic DVD bundle to give away to one Studio Ghibli fan, courtesy of the film’s distributor Element Pictures! This interpretation of a 10th-century Japanese fairytale has been a labour of love for veteran Studio Ghibli director Isao Takahata (Grave of the Fireflies). 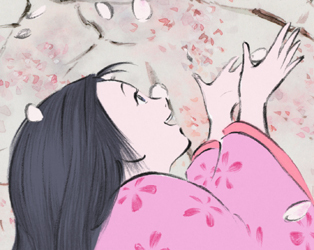 Eight years in the making, The Tale of the Princess Kaguya is revealed as an animated film of rare, delicate beauty. It tells the story of a bamboo cutter Okina, who chances on a dainty sprite inside a bamboo stalk. When he brings the sprite home to his wife, Ona, it has swelled to the size of a human baby, and the couple decide to raise her as their own daughter, calling her Princess. Further discoveries convince Okina that Princess has been sent to him so that she can achieve great things, and he takes his family off to the capital, where Princess is given the name Kaguya and is soon courted by the most rich and influential men in the land. 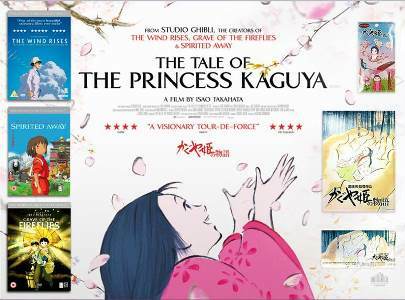 Celebrating the release of The Tale of the Princess Kaguya, we would like to offer a mega prize bundle, including seven DVDs of classic Studio Ghibli films and animations, to one lucky winner! To enter, simply answer the question below and we will pick a winner on Wednesday, April 1st. Director Isao Takahata has 24 films under his belt but it is his 1988’s anti-war animation that is considered by many as one of Studio Ghibli’s most profoundly beautiful, haunting works. 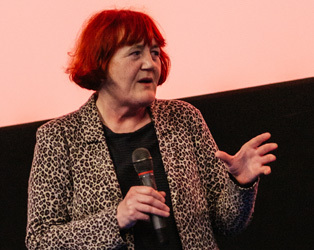 Which film was that?